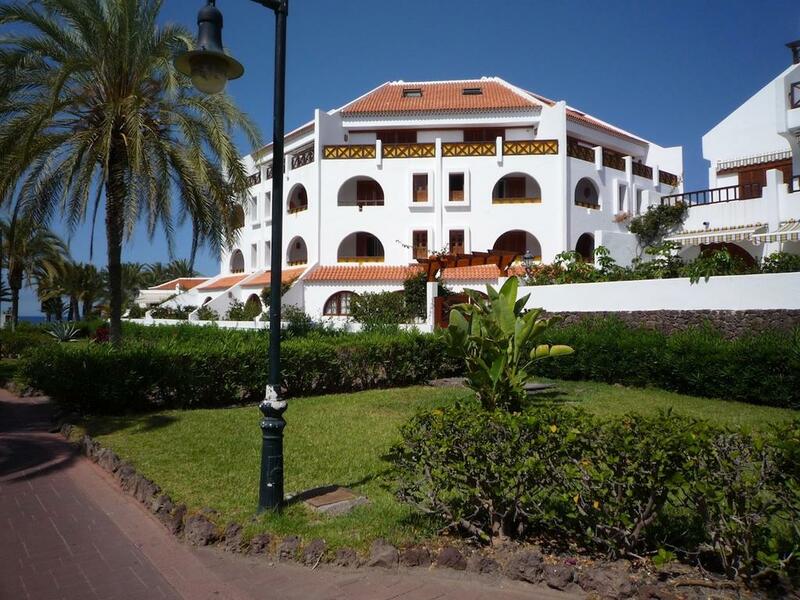 The Parque Santiago III is a magnificent apartment complex, also comprising Pargue Santiago IV, and is built in a modern Canarian style, ideally situated on the ocean front with direct access to the sea and only a short walk to the town centre. 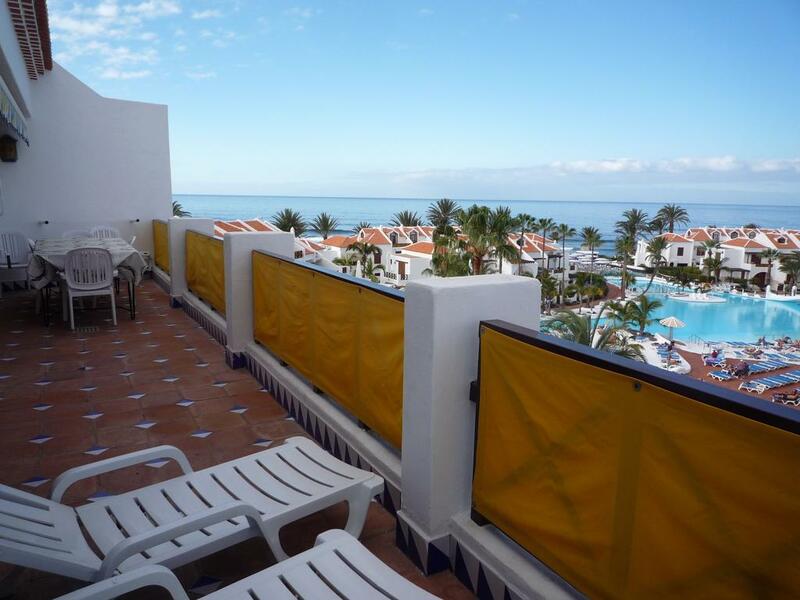 The complex covers 47.000m2 and is exactly located between Los Cristianos and Playa de las Americas. 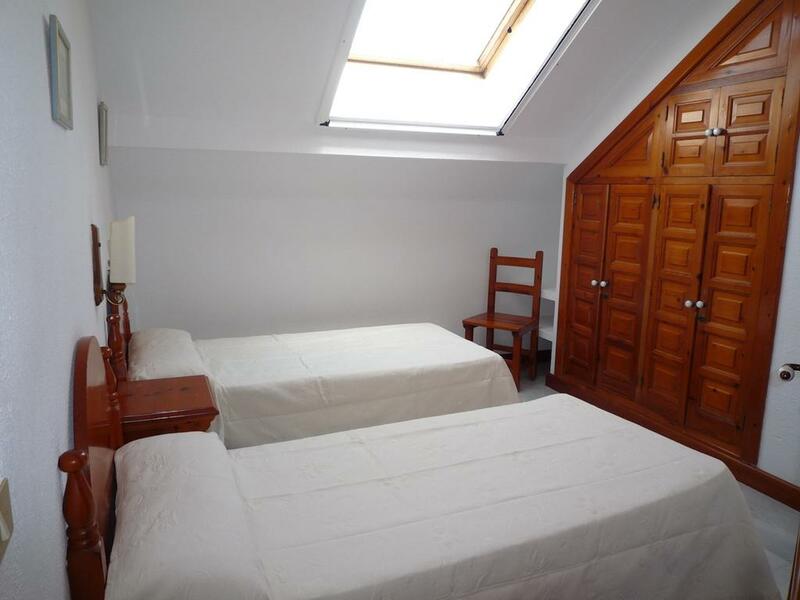 The apartments are equipped with kitchenette, bathroom, terrace/balcony, telephone, safe (hire), television and cleaning 6 times a week. 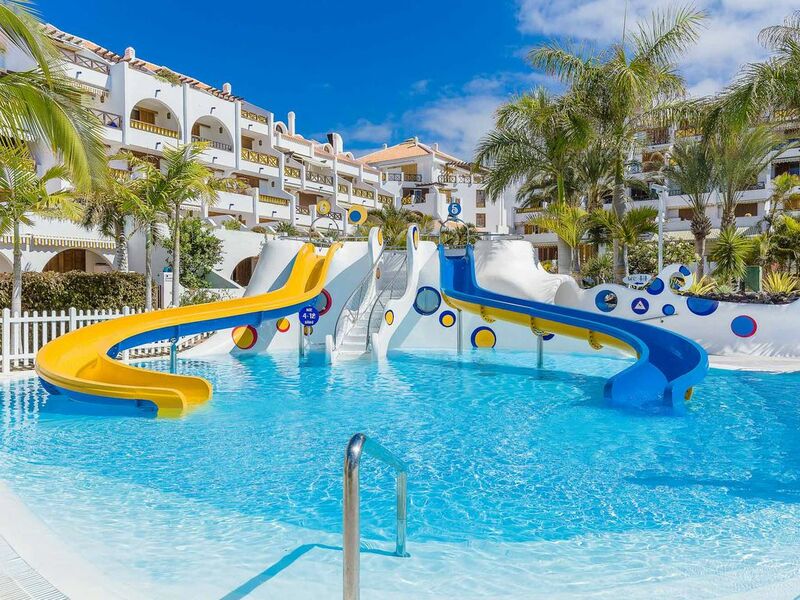 The Parque Santiago III offers 2 saltwater swimming pools with sun decks. There is an on site mall complete with 160 shops.